With Brexit’s March 29 deadline looming, Beef + Lamb New Zealand is working with the NZ Meat Board, the Meat Industry Association, processing companies and the Government to prepare for all scenarios. The first scenario is UK Prime Minister Theresa May’s deal passes. The proposed deadline for the UK Government to win approval for its deal was February 26 – but this had potential to be moved out. As Coast & Country News went to print it was still unclear if a deal had passed. “The UK Parliament has already rejected an exit deal Prime Minister Theresa May negotiated with the EU late last year, but there is still a slight chance it could be resurrected if slightly amended. Assuming there will be no significant changes to details of that draft withdrawal agreement, this would mean status quo for NZ meat exports until the end of 2020,” says Andrew. “Between the passing of a deal and the end of 2020, the UK and the EU would be expected to negotiate and agree on the final terms of the UK-EU relationship. The second scenario is delaying Brexit. The UK Government could seek to extend the March 29 deadline with the EU to give it time to try to reach a better deal, says Andrew. The third scenario is no deal. If the UK and the EU are unable to agree on a withdrawal agreement then the UK leaves the EU with no deal on March 29. This would be incredibly damaging for the UK and the EU – and the rest of us as collateral, says Andrew. “It would be the worst-case situation for farmers in the UK, EU, and NZ. Andrew says for NZ’s red meat sector exports it would mean our sheepmeat and high quality beef quotas are split between the EU and the UK, based on historic trade flows. “This is based on a deal the EU and UK agreed among themselves last year and which was reconfirmed by both parties recently. For sheepmeat, the split would be broadly 50/50, but for high quality beef 35 per cent of our 1300 tonne quota could go to the UK and 65 per cent could go to the EU,” says Andrew. “Our position, which has been reiterated by our Prime Minister Jacinda Arden during her recent UK visit, is we should be no worse off as a result of Brexit. “Both the UK and the EU need to honour their legal obligations and commitments under the WTO. We firmly stand by our position that splitting of the quota diminishes the flexibility NZ exporters have to responsibly respond to consumer demand and changing market conditions across EU markets. Andrew says the NZ Government has already started this process, lodging a claim of interest at the WTO to defend our existing quota access, “and we welcome their hard work and support”. Plus, NZ and the UK have been taking steps to minimise other potential trade disruptions in a hard Brexit. “The recent signing of a Veterinary Agreement between the UK and NZ, together with the advice from the UK it will accept existing EU Health Certificates post-March 29, 2019, means our sector is assured some key existing regulations will remain the same for at least 180 days after Brexit. 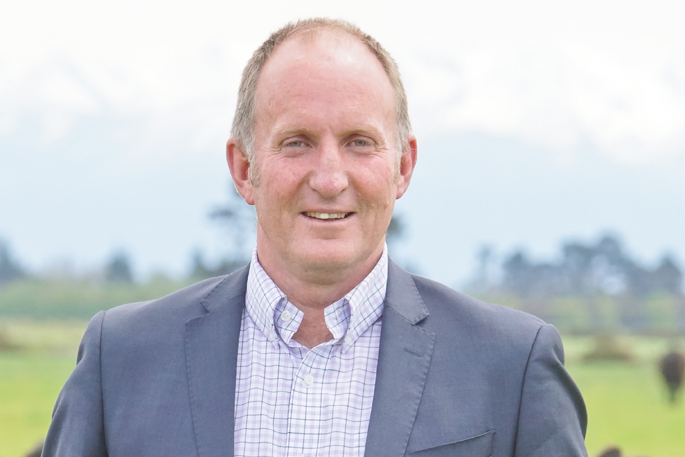 Andrew says the NZ Meat Board has been undertaking comprehensive contingency planning to ensure that after March 29, 2019 it is prepared for a no-deal scenario and has in place processes to ensure minimal commercial impact and disruption to trade.